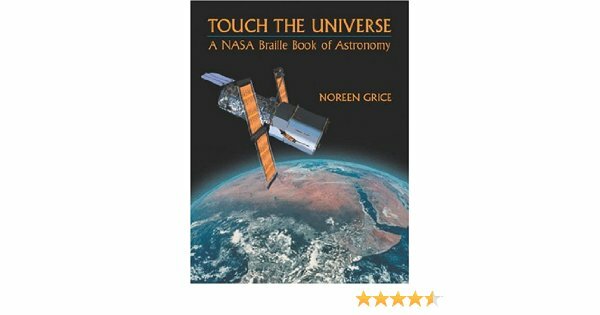 Touch the Universe is a unique and innovative astronomy book that will help visually impaired people "see" the wonders of our universe. Using a combination of Braille and large-print captions that face 14 pages of brilliant Hubble Space Telescope photos, it is embossed with shapes that represent various astronomical objects such as stars, gas clouds, and jets of matter streaming into space. "Universally designed" for both the sighted and visually impaired reader, Touch the Universe takes readers on a voyage of discovery, starting at Earth, proceeding through the solar system, and ending with the most distant image taken by Hubble, the mind-boggling "Hubble Deep Field" photo -- the first telescope image ever to bring home to human consciousness in a deeply fundamental way the literally infinite reaches of our universe of galaxies. As the author puts it, "A visually impaired person can still touch and smell a flower, or a tree, or an animal, but he or she could only imagine what an astronomical object is like ... until now."